MMS solutions must adapt and embrace IT process management requirements to secure, provision and support smartphones, tablets and tough field force devices with wireless connectivity. Asignet MMS includes technology that creates & integrates needed IT process management with corporate resource data enabling enhanced support management of corporate & individual-liable devices. What should an effective MMS solution provide? 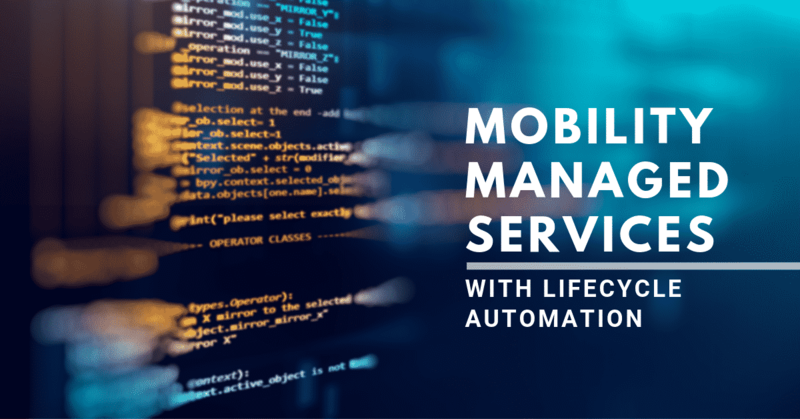 Effective MMS includes mobile device management, application management, security, enterprise application stores, and telecom expense management as part of an enterprise mobility management suite. These services are often tied together with a range of professional services, including; consulting, device integration support, testing, and deployment. Mobile labor forces, operational corporate sites, and extended, internal enterprise telecom management operations are no longer considered necessities for organizations. The largest enterprises and small businesses alike are empowering their expert workers with innovative technologies, increasing operational efficiencies and the bottom-line. Since businesses can seek and hire talent anywhere rather than being limited to local prospects, recruiting costs and barriers are also minimized or removed entirely. In addition to helping businesses manage remote employees, MMS solutions offer tremendous ROI and dramatic enterprise telecom management spend reduction. Asignet implements different tools, services, and methodologies, such as Robotic Process Automation (RPA), Wayfast, our patented aPaaS platform, and Parser Automation Tool technology to create greater visibility, control and strategic decision-making for services impacting the budget and the company’s bottom line. RPA empowers our “Integration without Limits” with any other application either with or without an API, SOA or Legacy interface thanks to its patented integration engine. This level of process management & detailed data is managed at a corporate, department and individual level, enabling individual and organizational service usage visibility for enhanced resource and expense optimization. These services support the commissioning and deployment of mobile data services, SIMs and IoT edge devices (including connectivity modules, gateways, and cellular routers), based on predefined service rates. It also obtains carrier billing information and compares and contrasts with the service of the user by utilizing an exclusive application installed on the mobile device. Asignet automates and integrates this entire process through our RPA driven solution. Through custom workflows and RPA integration,100% of the process is created and deployed allowing for the MACD (Move, Add, Change and Delete) of all wireline & wireless services. This process is completely integrated into Asignet’s inventory, invoice and contract management processes creating full lifecycle management. Asignet’s automated Inventory management for mobile data services and IoT edge devices includes an RPA driven inventory module that detects 100% of the difference between real-time inventory, policy-driven MACD activity and what was billed. Our real-time inventory management capability ensures high quality of services operated by IT, significantly improving productivity and ensuring proper billing in a centralized CMDB. Asignet’s technology automates the processing and payment functions for all service invoices including; loading, allocation of charges, approval, audit compliance, A/P and/or vendor bill payment business operations and external financial systems integration. Effective dispute management processes ensure recovery of erroneous service costs, SLA compliance and applicable violation credits, and management of short-pay and no-pay decisions related to network services. Asignet’s system and managed services will seamlessly manage the process of filing disputes with carriers, effective collaborative communication through our interactive Vendor portal, ensuring the recovery of credits and helping organizations optimize expenditures and improve cash flow. Today’s effective MMS guarantees consistent universal experiences regardless of how, when or where customers initiate a transaction. Field agents are equipped with identical research, product/service offerings, and pricing information, ensuring seamless customer interaction from one locale to another.